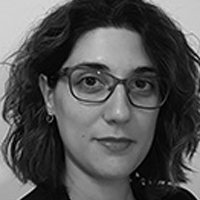 Ms Anna Kaziani is a Senior Associate of our Firm and a member of our Digital Business & Data Protection Practice. She actively participates in GDPR projects, taking part in “data mapping” workshops, conducting Gap Analysis Reports and implementing GDPR compliance programs. Anna acts on a variety of commercial law matters, focusing on the areas of data protection, digital law and new technologies, IP licensing, and e-commerce. Anna also consults on various commercial and corporate matters and drafts commercial contracts and legal documents.